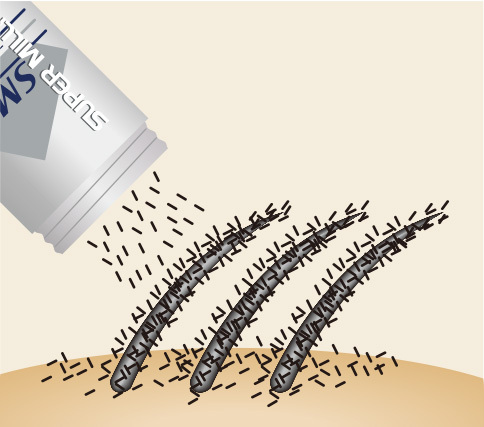 Super Million Hair is artificial fiber cut into 0.3 to 0.5mm pieces. The artificial fibers stick to your natural hair with static electricity making your hair look fuller than ever before. 1. Before Super Million Hair. 2. Sprinkle Super Million Hair. 3. Spray Super Million Hair Mist. Stays in place in rain, wind, and sweat. Totally safe. Made of fiber. 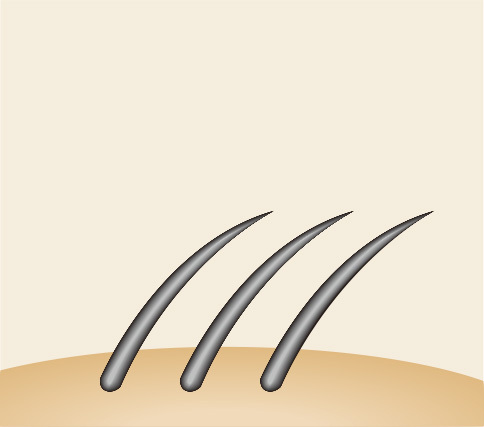 Burns or surgery may affect hair growth. Pat the bottle on the balding area to apply. Using a hand mirror, make sure that Super Million Hair Mist is applied generously until the scalp is no longer visible. 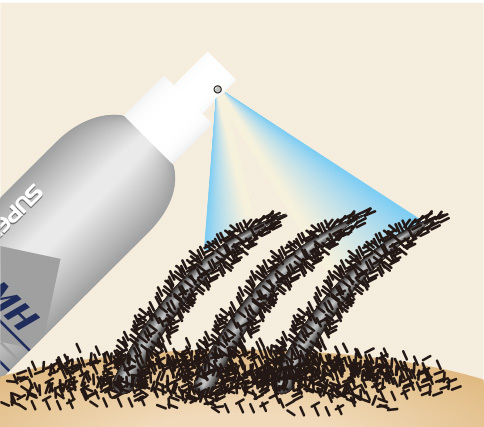 Spraying too high above your head, will reduce the effectiveness of the product. Apply Super Million Hair Mist patting your skin. Applying Super Million Hair Mist just a few inches from the skin is convenient if you have oily skin or want to keep your current hairstyle. Gently pat your hair and touch up. Patting your own hair lightly makes Super Million Hair come out on the surface giving your hairstyle a more natural finish.